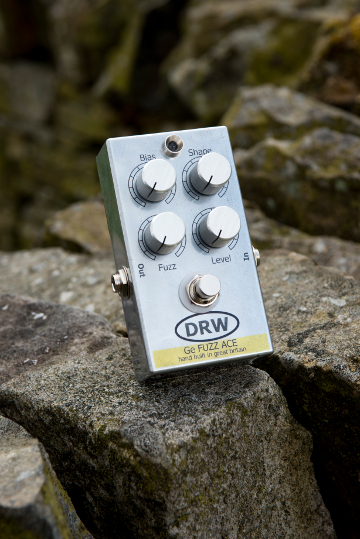 The DRW Ge Fuzz Ace is based around the original Arbiter "Fuzz Face" circuitry with a few tweaks of our own, a classic, we have found a great new set of PNP Germanium transistors which, as far a we know are previously unused in this design. The most popular vintage models contained the NKT275, we do NOT use these transistors due to lack of availability. We have however found an alternative that sounds incredible! We have modified for True bypass and LED operation and have used quality components throughout. 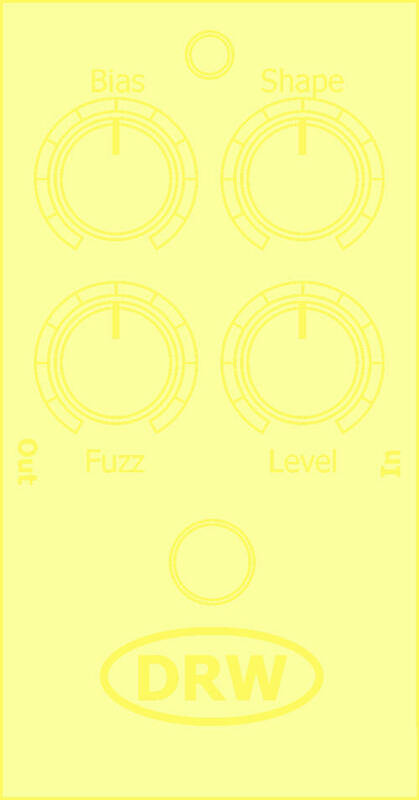 This pedal has lots of features and gives a huge range of sounds from a nice fuzz boost to a full, intense BIG fuzz. 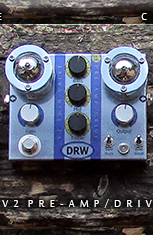 As well as the usual Fuzz and Level controls, this model has a Bias control which basically adjust the input impedance to the circuit, and a Shape control which adds a mid boost to the signal, having all these parameters allows a lot more variation in the type of sound you get out of this pedal. 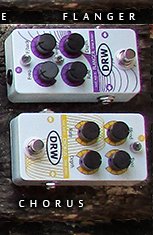 Our Ge Fuzz pedals do not have an external DC connection. This is due to the use of PNP Germanium transistors which means these require the OPPOSITE DC voltage polarity to the standard 9v negative centre configuration. Having said that, these units will run for at least 80hrs on the Duracell Procell Alkaline 9v battery supplied. We have kept the run to a batch of 200, simply, because the availability of GOOD PNP germanium transistors suitable for the task, are not easy to find, so for the stock we have at present and to allow us to keep a few in house, we think 200 is a good production run, we will be buying future stock and testing with other available transistors and Revision II will follow when these are sold.